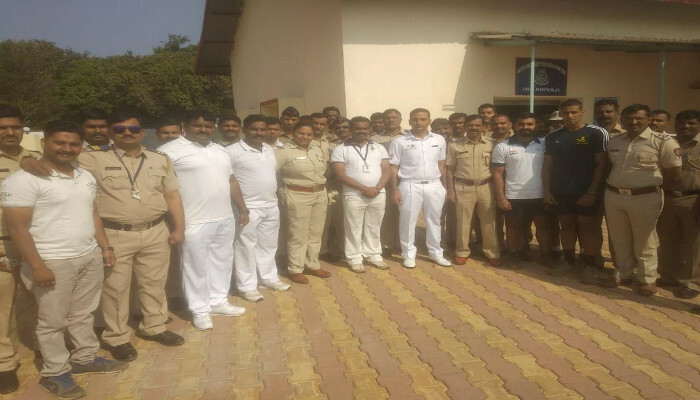 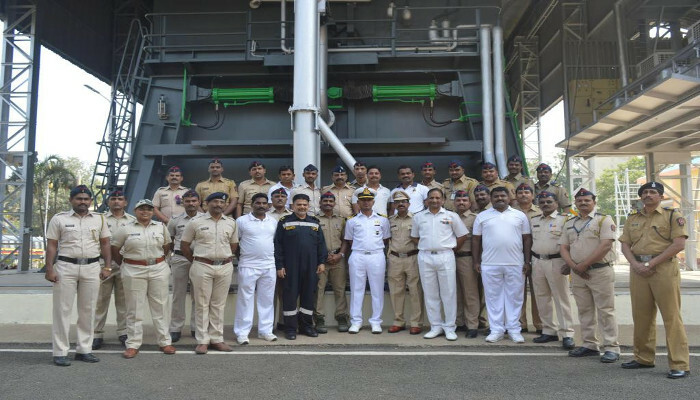 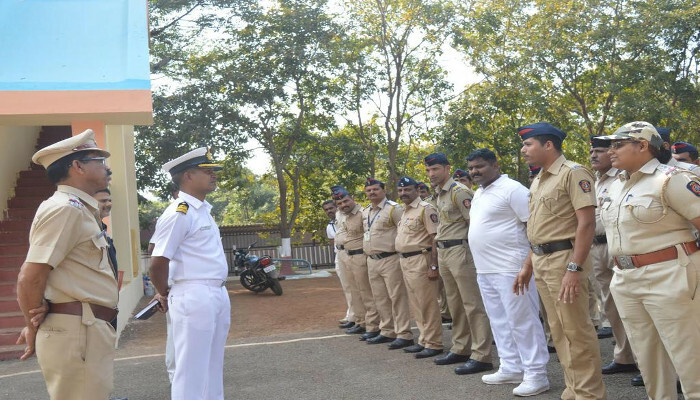 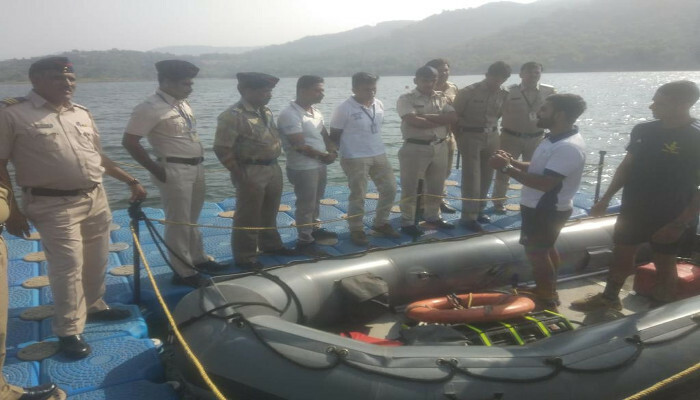 INS Shivaji conducted a one day capsule for 27 officers and staff from the Maharashtra Police on 17 January 2019. 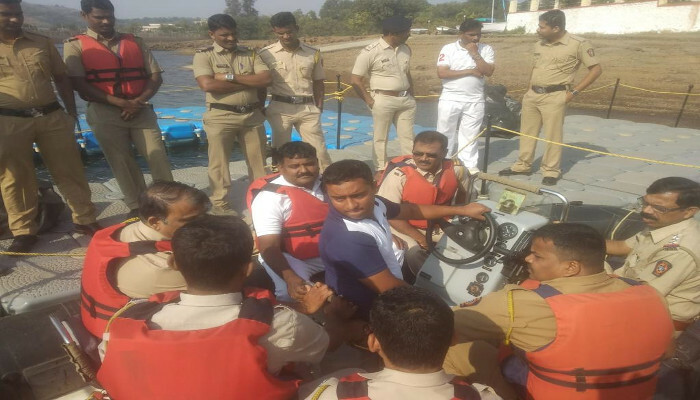 The training was aimed at honing skills of police personnel in handling emergencies during performance of coastal security duties. 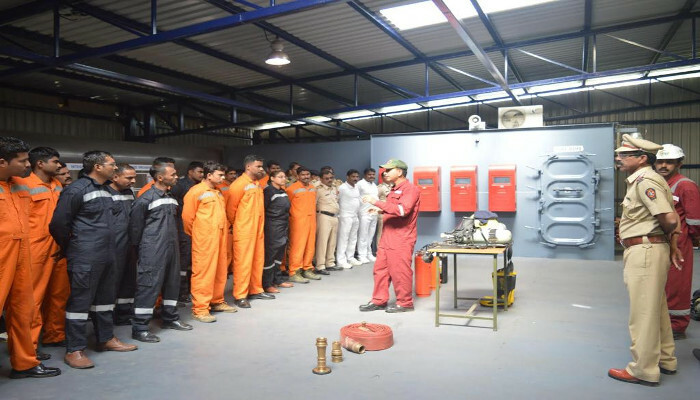 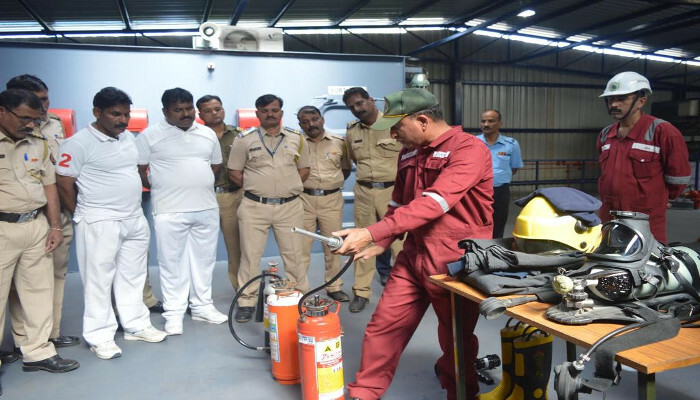 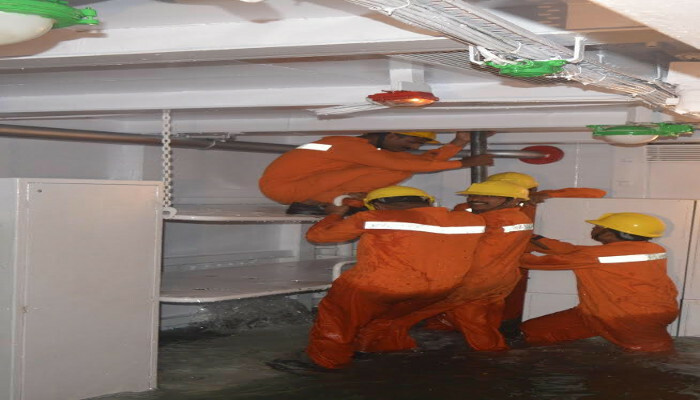 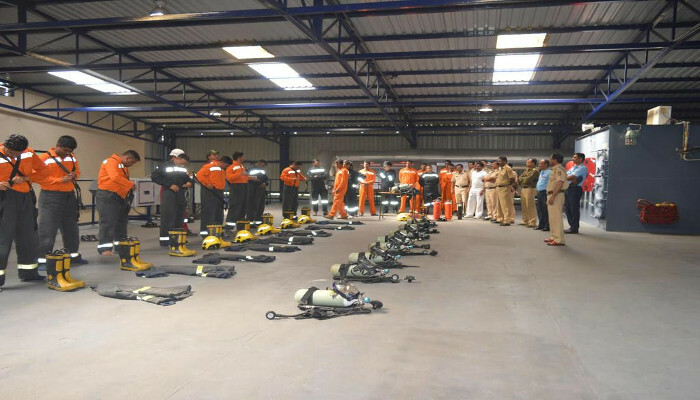 Practical training was imparted on aspects pertaining to boat handling at the Watermanship Training Centre and Fire Fighting and Damage Control at state-of-the-art simulators, which created realistic situations for the police personnel to tackle.